using modified equipment and resources. IEPs are updated termly with parental involvement. The responsibility for making whole school SEN provision rests with school governing bodies and accordingly, there is a nominated SEN Governor who is currently Barbara Stevens. Her role is to liasie with Mrs Varley, the schools Special Educational Needs Co-ordinator (SENCO) and report upon this to the Full Governing Body termly. In order that their needs can be met quickly, the early identification of children who may have SEN, is an important feature of our approach to meeting the needs of all of our children. Therefore if parents have any concerns of an SEN nature, they should contact Mrs Varley. The Lancashire SEND partnership brings together all the agencies in Lancashire which provide the SEND services for children, young people, their parents and carers. It ensures everybody can work together to deliver the best outcomes for children, young people and their families. Ormskirk West End School Local Offer. Click below to go to the 'Policies' page where you will find both our SEN & Equality Policies. 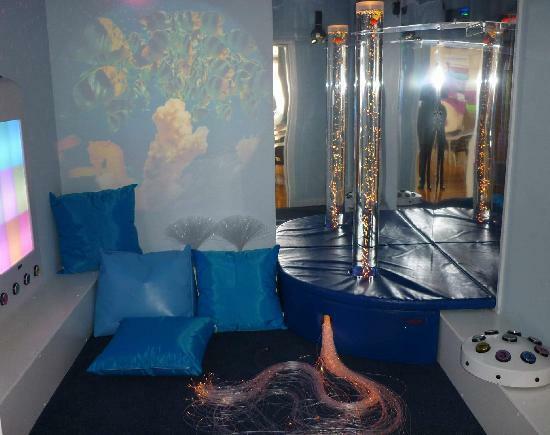 In an effort to meet all of our pupils' needs, we have installed a multi-sensory room in school, which has been fully funded by a grant obtained through the Extended Schools Service. We are really excited about this addition to our provision and are offering the use of this room to any local schools with children who would benefit from working in a multi-sensory environment.